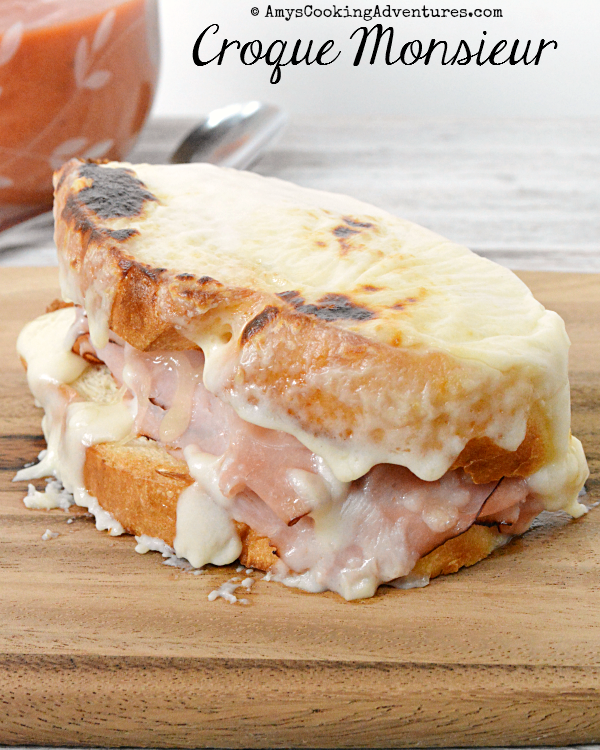 Croque Monsieur is one of my bucket list recipes. I mean, really it’s a hot ham & cheese with more cheese broiled on top! Can life get any better?? 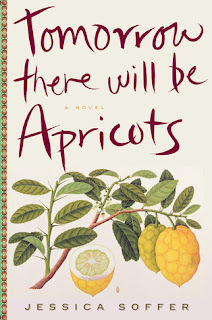 I finally decided to tackle this recipe for this month’s Cook the Books Club selection, Tomorrow There Will be Apricots by Jessica Soffer and hosted by Simona from Briciole. The book follows Lorca, a self-harming teenager with an emotionally absent mother and Victoria, an elderly, recently widowed former restaurant owner. Through a series of rather implausible events Lorca and Victoria connect and Victoria begins to mentor Lorca. Throughout the book, Lorca turns to self-harm as a way of filling the void of her mother’s disinterest. I loathed Lorca’s mother as I was reading – ugh! She made me sick! Even Victoria, though I liked her relationship with Lorca, I was so frustrated as the book delved deeper into her past. Overall, I felt like this was a book about two woman and how their selfish choices poison everyone around them. There was an attempt at a feel-good ending, but it rang false after the rest story. You can read a bit more on my GoodReads review here. Luckily enough for me, this was a CtBC book, and there was plenty of foodie inspiration. Lorca’s mother is a classically trained French chef and Victoria owned an Iraqi restaurant and begins teaching Lorca traditional Iraqi recipes. My recipe inspiration (Croque Monsieur) appeared very early in the novel, but stuck with me throughout, so I knew it was meant to be! There are many variations of this timeless classic, but I set out to find the simplest recipe, without all the extra bells and whistles. It was absolute perfection! Hubs was thrilled when I served this up with a bowl of homemade tomato soup! With all that extra sauce, it certainly won’t make the weekly rotation, but it sure is a nice treat! To make the béchamel, melt the butter in a small saucepan over medium heat. Whisk in the flour and cook for 1-2 minutes. Very slowly whisk in the milk, allowing the sauce to thicken as the milk is added. Stir in ½ cup of the swiss cheese, stirring until melted. Season with salt and pepper. Lightly toast the bread and place on a baking sheet. Top 2 of the slices with the ham and remaining cheese. Top with the second slice of bread. Spoon the béchamel over each sandwich. Bake in the preheated oven for 3 minutes. Move the tray to the top rack and broil for an additional 3 minutes or until the béchamel is bubbly and beginning to brown. It wasn't my favorite book either, but I would LOVE a bite of your Croque Monsiuer! Yum. 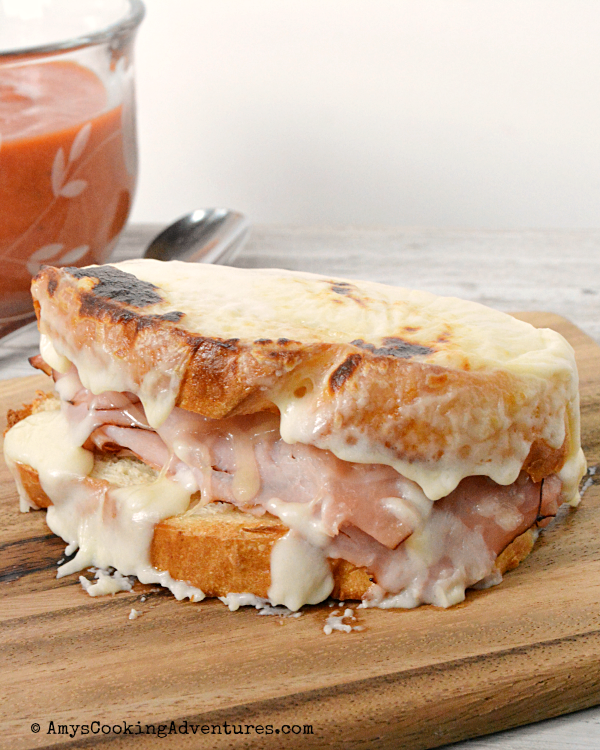 Your Croque Monsieur looks irresistible! Great choice of recipe. I am glad the book worked as a food inspiration, if not as a novel. 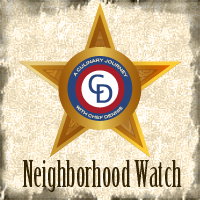 Thank you for contributing to this edition of Cook the Books. Croque Monsieur has been on my bucket list for ages as well. My brother sent me a recipe several years ago, raving about how great they were, so I will make them soon; with those ingredients, what's not to love? 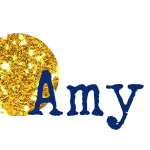 Your Croque Monsieur sounds amazing Amy. It was a hard book to read, for sure. Yep - toasted ham & cheese is one of my favorites. Nice job! What a beautiful sandwich! I haven't made this dish in a while. Love that you paired it with tomato soup. I agree with your summation of the novel. I thought she wrote beautifully though.